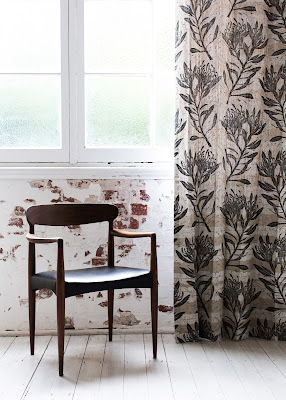 The textiles of Ink & Spindle are celebrated among lovers of Australian design for their inspirational graphics depicting Australian native flora, as well as for the contemporary sensibility of the studio's colour palette and fabric choices. 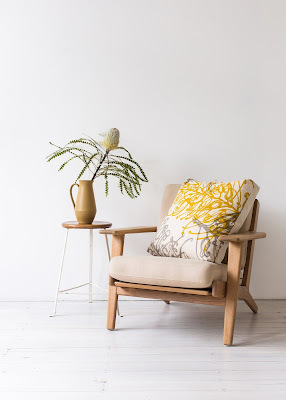 Ink & Spindle co-designers Tegan Rose and Lara Cameron are based in Melbourne. 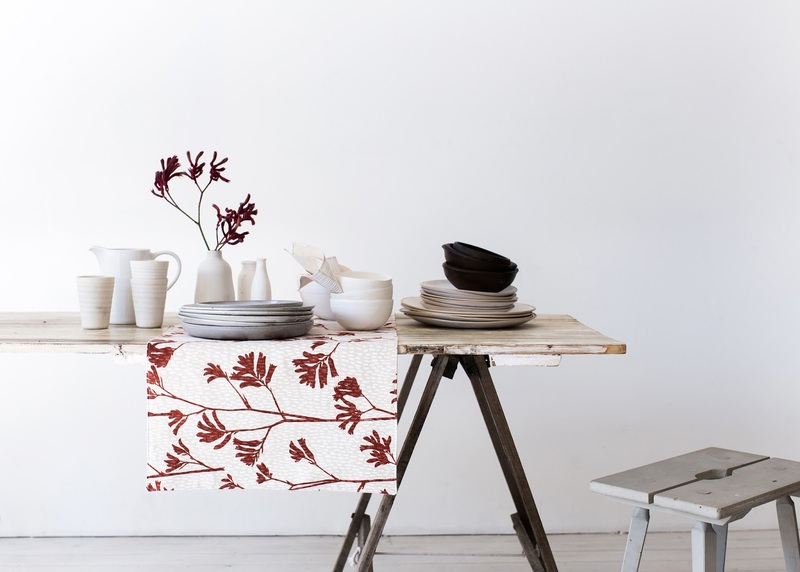 Their preferred method of image transfer is screen printing onto organic basecloths of cotton, hemp or linen, and the beautiful patterns are created with just one or two colour separations. The textiles are sold as meterage but many are available in a small range of simple homewares, too. 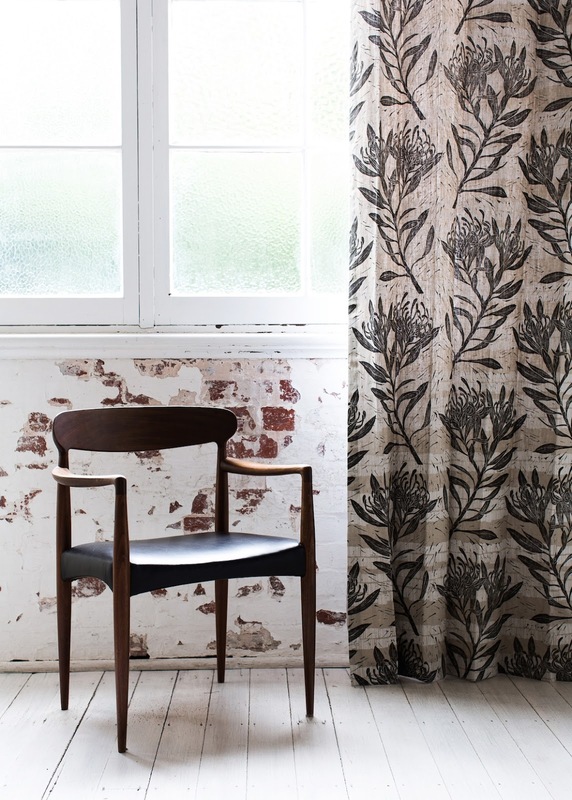 The pair's latest design is of a waratah, but there are also textiles printed with kangaroo paw and grevillea motifs; see below and for more, visit inkandspindle.com.